Our Architectural Tours can focus on traditional buildings, contemporary buildings or both. The Tour can be an introduction to the city’s main buildings or can be tailored to your group’s interests. 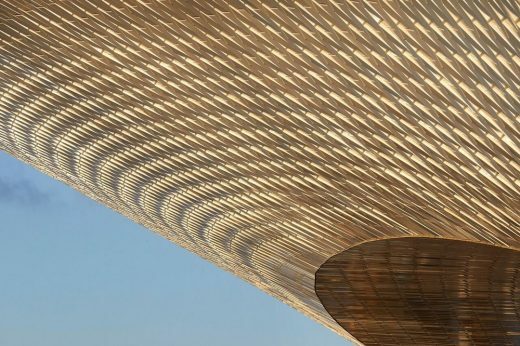 ‘The Poetics of Reason’: this title states that, for all its subjective and non-scientific dimension, architecture does rest on reason, and its aim is to shed light onto the specificity of this reason. Claus Porto is a portuguese scents brand whose 130 years history had to be summoned in the project of the first flagship store to open in Lisbon downtown. A heritage built not just by their impressive material assets, but also by their intangible patrimony, linked to the objects’ symbolic quality and value. 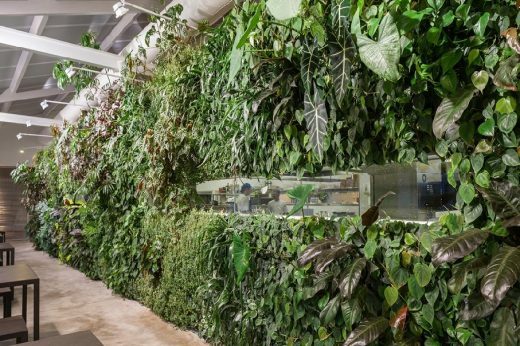 A 113sqm vertical garden – a new restaurant/gallery/concert venue located next to the river in Belém. Scaffolding has been used for a very long time, across the globe. Essentially, it is a temporary structure that supports people or materials during the construction process. There is no reason scaffolding structure can’t be just as efficient, if not more efficient than other materials, and provide a more flexible space, even if it is only used for temporary structures. 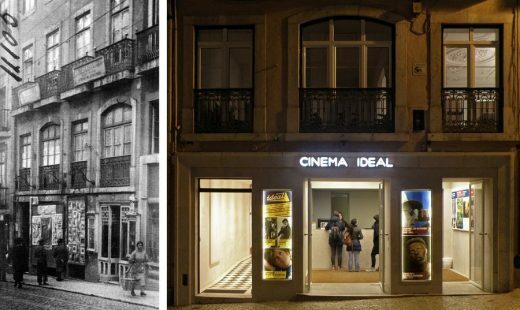 This was the first cinema in Portugal. 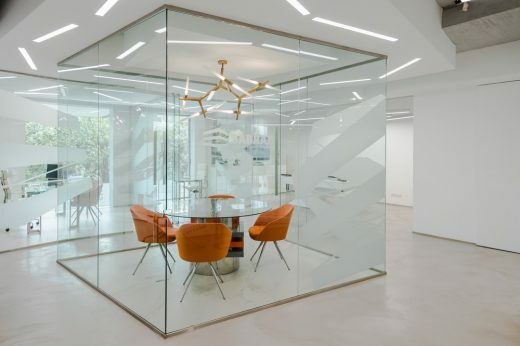 The building is located in the heart of the Portuguese capital city, between Loreto and Horta Seca streets. The property occupies the ground floor of two buildings built in the 19th and 20th centuries respectively. The building had suffered multiple interventions, becoming degraded and architecturally weak. The house is located inside the Belas Clube de Campo, a private condominium, where topography allowed to maximize exterior areas and offer privacy to the users. 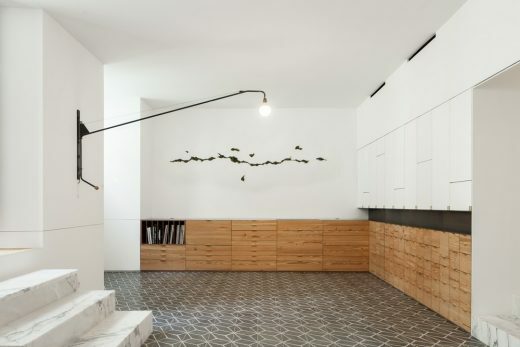 The apartment is part of a typical Lisbon old building. 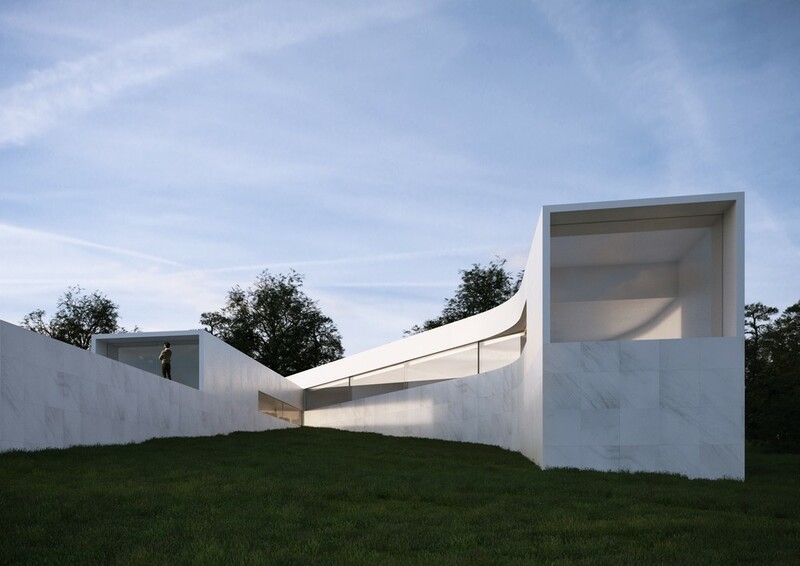 It’s long proportion produces a set of spaces on which the presence of natural light is the main challenge. The apartment is refurbished having the courtyard/garden as a central area that is totally open to the living room and adjacent spaces. The courtyard is the main source of natural light for the apartment. The Project concerns the rehabilitation of an old building, presumably built at the end of the XIX century, but that was only registered in 1906. 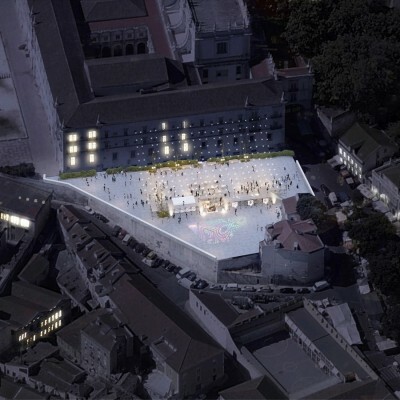 A cost-controlled operation, proposed by the owner, Santa Casa da Misericórdia de Lisboa, intended to rehab this building that was at risk of collapse. It is a project within the “School Modernization Program” sponsored by the Parque Escolar, for a school originally designed by architect José António Pedroso in 1956. The three bodies that constitute the school are situated on the hillside in the continuity of the Faculty of Agronomy fields, overlooking the district of Alcântara. This is a simple residence designed by Portuguese architect Ricardo Bak Gordon to fully use landscape – a mature tree, a small pool of water – to bring the property to life. The existing Marquesa de Alorna School, designed by architect José Sobral Blanco in 1956, was one of the 50 schools built in Portugal according to the type promoted by the Construction Board for Secondary and Technical Education in the 1950’s. Like many of these schools, it had two main bodies, one containing the academic and administrative areas, the other containing the gym and cafeteria. 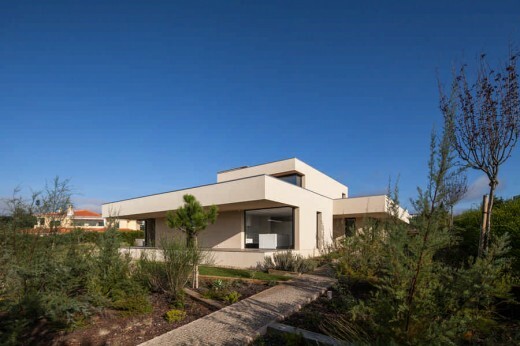 The cultural meeting point joining the house owners and the architects was based on their common interest: an undoubtedly contemporary architecture, but one whose nature and final expression would also be the outcome of a research of the paradigms figuring in the traditional architecture of the region, the Alentejo. 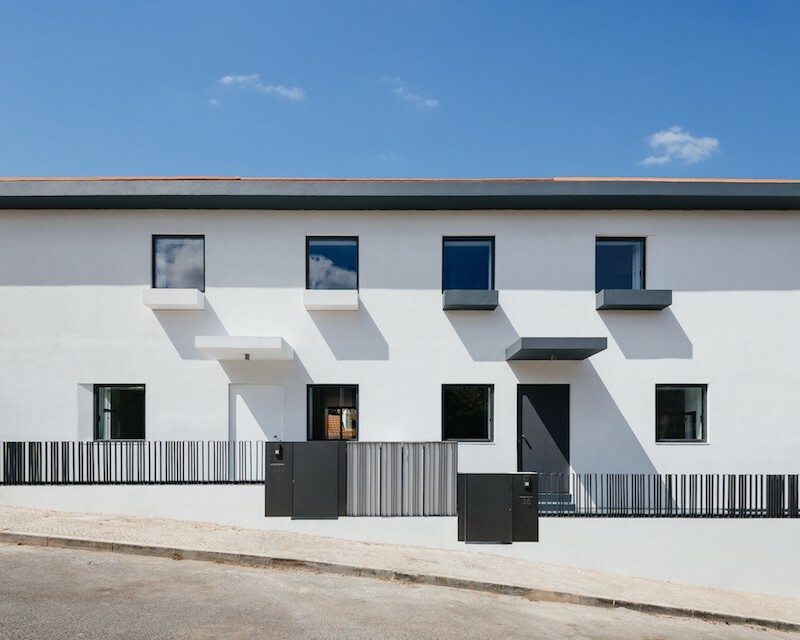 João Luis Carrilho da Graça, JLCG arquitectos lda.